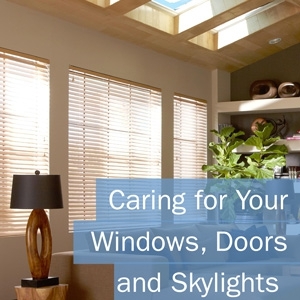 Regular care and maintenance extend the lifespan and performance of windows, doors, and skylights. The American Architectural Manufacturers Association (AAMA) offers a revised and re-issued educational brochure with tips for proper cleaning and maintenance to help products perform as intended. When customers have questions about how to care for their windows, doors or skylights, AAMA is dedicated to providing helpful answers. The six-panel, fold-out brochure is intended to help homeowners, building owners, property managers and all who are responsible for maintaining and cleaning windows, doors and skylights. With the re-issued hard copy resource, AAMA has also launched a new web page with information from the brochure, which can be viewed at aamanet.org/maintenance. Manufacturers, installers and builders may utilize this brochure as a handout for customers. A digital sample of the brochure can be viewed and printed copies may be ordered from the online store. More information about AAMA and its activities can be found on the AAMA website. At St. 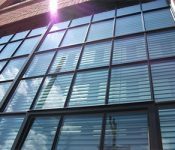 Cloud Window, we are dedicated to delivering a lifetime of useful service and value to building owners. 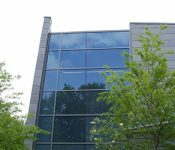 Learn more about our full line of historic replication and acoustic window products, and get in touch for more details about any of our high-performing commercial window products.